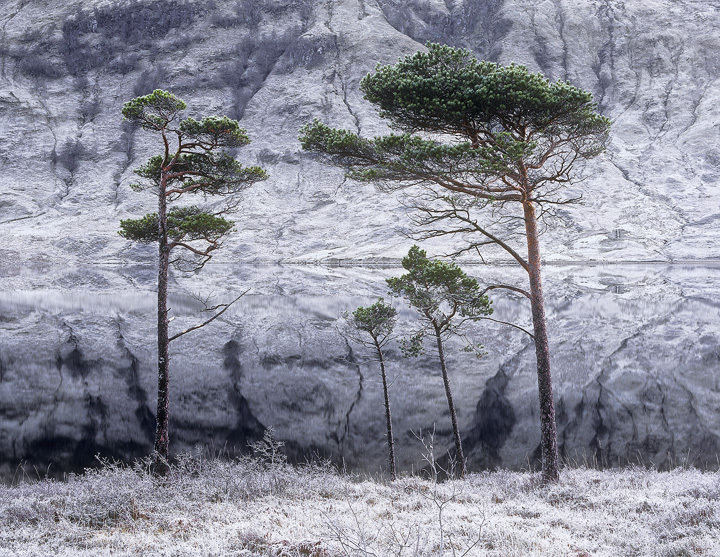 A little family of straggly Scots pine at the edge of deep frosted Loch a Chroisg. The trees alone seem to have escaped the enveloping freezing mist of earlier in the morning but it is still bitterly cold and my breath rolls away barely dispersing as I exhale. It is one of my favourite shots despite its lack of strong colour or strong lighting there doesn't seem to be a twig out of place. It belies the difficulty of aligning the shot.